5 A Side Legends is one of it's kind. It is the first 5 a side football manager game, and one of only few football games to focus on the culture of british 5 a side. Step into a world of excitement, banter, and camaraderie of 5 a side football. 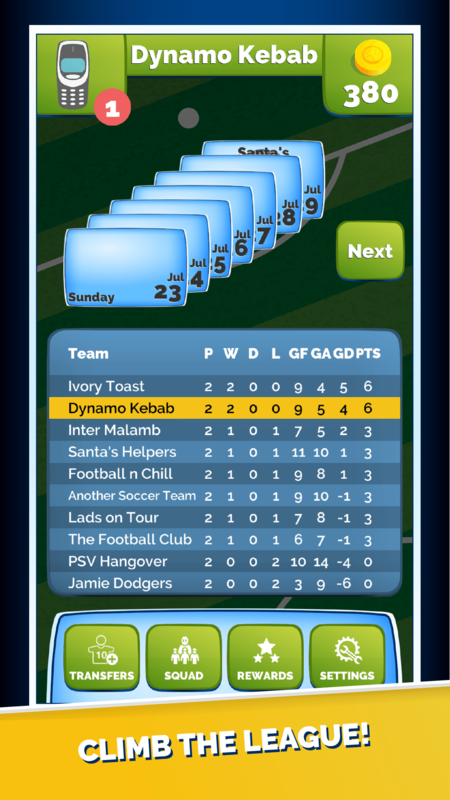 As the player manager it's your job to organise your team, and deal with all the problems of football management as well as the familiar problems organising 5 a side. Your best striker is hungover, your goalkeeper has to leave 15 minutes early to pick up the kids. You want to pick Jeff for the next game, but he's just not got the same banter as Policeman Dave or Chicken-Hut Steve. You make the choices, you pick the team and the tactics. Your destiny is in your hands! Add players to the team using our recruitment system, with a twist. Our system tries to mimic the real 5 a side experience by requiring you to put up a poster on the notice board, and see who responds! Improve your players by putting them in training sessions, to enhance specific stats. 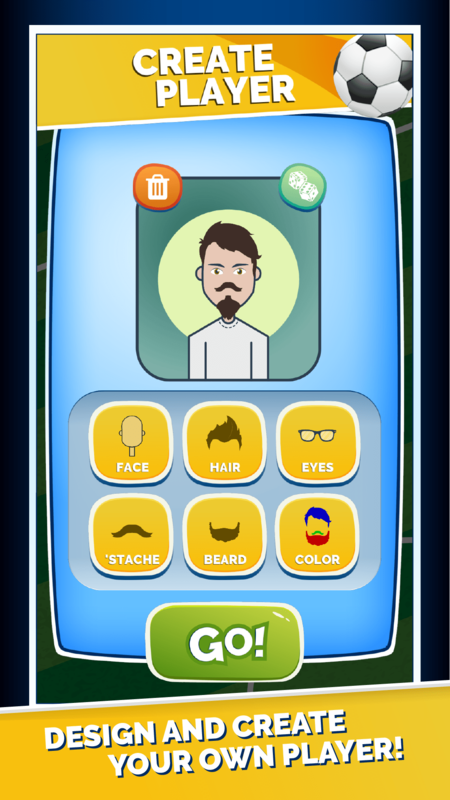 Our player generation system produces 1000s of combinations of players all with a unique appearance as well as a unique personality including facts, traits, stats and more. 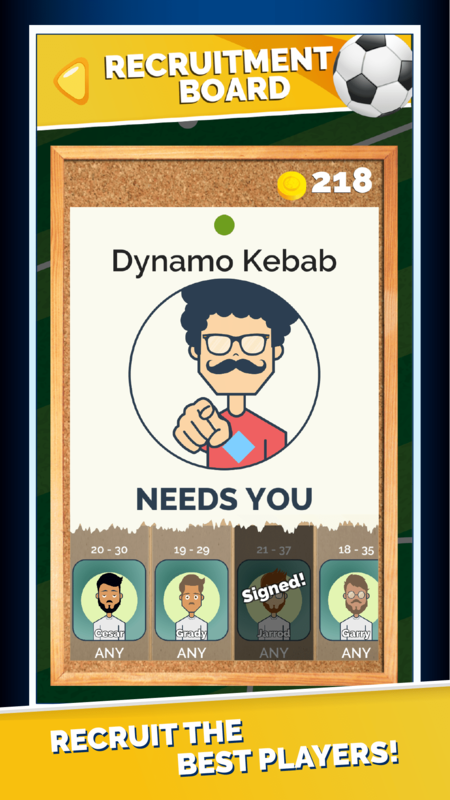 You can even design your own players! Banter is important to 5 a side and actually makes you a better player. It gives eveyrone a lift and your team is more likely to be succesful if you all get along. 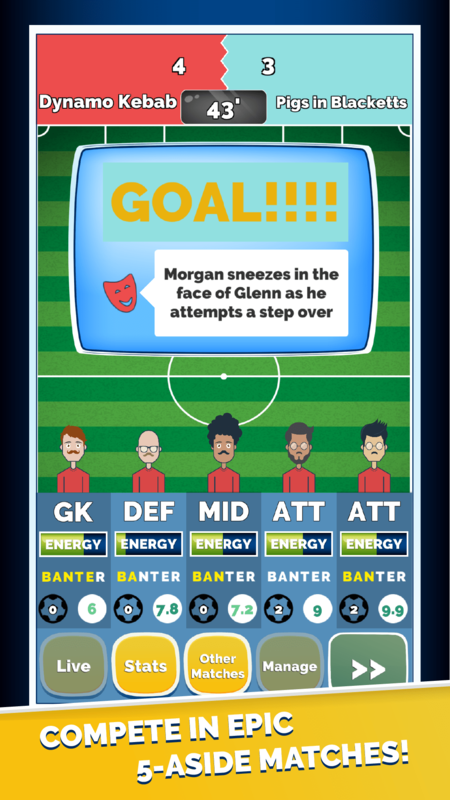 Look out for messages from your players, in as the 5 A Side Legends world comes to life.